Which pain reliever should you take, acetaminophen or NSAIDs? What you need to know about common pain relievers, from Tylenol to Aspirin. Once upon a time, easing pain was relatively simple: take two aspirin and call the doctor in the morning. Now there are many pain relievers to choose from (see "Pain relievers at a glance"). Willow bark was one of the earliest painkillers. Extracts or teas of willow bark have been used to treat fever and pain for more than 2,000 years. Unfortunately, the active ingredient, salicylic acid, is very hard on the stomach. In 1897, a German chemist working for the Bayer Company found a way to modify salicylic acid so it was less irritating to the stomach. The compound he created, acetylsalicyclic acid, was called Aspirin. It remained the premier over-the-counter painkiller until the development of acetaminophen in 1956 and ibuprofen in 1962. Since then, more than a dozen others have come onto the market. No, Tylenol is not an NSAID – it is acetaminophen. The two main categories of commonly used pain relievers (analgesics) are acetaminophen and nonsteroidal anti-inflammatory drugs (NSAIDs), which include aspirin and drugs known as COX-2 inhibitors. Many are available over the counter; some are available by prescription only. Picking the right one can be enough to give you a headache! Here are 11 tips to help you navigate the pain reliever aisle. 1. What's the difference? NSAIDs ease pain, lower fever, and turn down inflammation. They can be very helpful for pain arising from inflammation-related conditions such as arthritis. Acetaminophen eases pain and fever, but does not affect inflammation. 2. NSAIDs revolutionized the treatment of pain. But as is the case for all drugs, they have some drawbacks. Regular use of NSAIDs other than aspirin has been linked to an increased risk of heart disease. All NSAIDs can be hard on the stomach, causing ulcers or gastrointestinal bleeding. These problems tend to emerge only after long-term or heavy use. Don't be scared about taking the occasional NSAID for a headache or aches and pains. 3. What applies to NSAIDs doesn't usually apply to acetaminophen. Acetaminophen is not an anti-inflammatory agent, and eases pain in a different way than NSAIDs. Acetaminophen is easier on the stomach than NSAIDs, but has its own set of problems. Acetaminophen can damage the liver. The safe upper limit of normal is 3,250 milligrams (mg) a day — about 10 regular-strength acetaminophen tablets, but that might be too much for some people. Large doses are the main risk, but there are reports of people developing liver problems after taking small to moderate amounts of acetaminophen for long periods of time. Drinking alcohol while taking acetaminophen can also cause liver damage. Acetaminophen is an ingredient in many over-the-counter cold and headache medications. Some people may be taking more of the drug than they realize because of these "hidden sources." 4. Specific COX-2 inhibitors. A new family of NSAIDs, called specific COX-2 inhibitors, was developed in the 1990s. They were supposed to be better than "regular" NSAIDs: a new generation of medications that would relieve pain but spare the gut. Although these drugs were a bit easier on the gastrointestinal system, it turned out they weren't especially heart friendly. The first COX-2 inhibitor, rofecoxib (Vioxx), was pulled from the market in 2004 after it was linked to an increased risk for heart attack. Valdecoxib (Bextra) came off the market a few months later. A third COX-2 inhibitor, celecoxib (Celebrex) has stayed on the market. At doses of 200 mg per day or less, it doesn't appear to pose any greater heart attack risk than other NSAIDs. 5. Go generic. Generic over-the-counter pain relievers are less expensive than their brand-name counterparts, and work just as well. 6. Help for NSAID-related stomach woes. If you need to take an NSAID every day for arthritis or other chronic condition, and the drug bothers your stomach or you're at high risk for gastrointestinal complications, taking a proton pump inhibitor can offset this side effect. Proton-pump inhibitors include esomeprazole (Nexium), lansoprazole (Prevacid), omeprazole (Prilosec), pantoprazole (Protonix), or rabeprazole (Aciphex). 7. Take your daily aspirin before taking an NSAID for pain relief. If your doctor has recommended that you take a daily low-dose aspirin for your heart, and you also take an NSAID for pain or inflammation, timing is important. 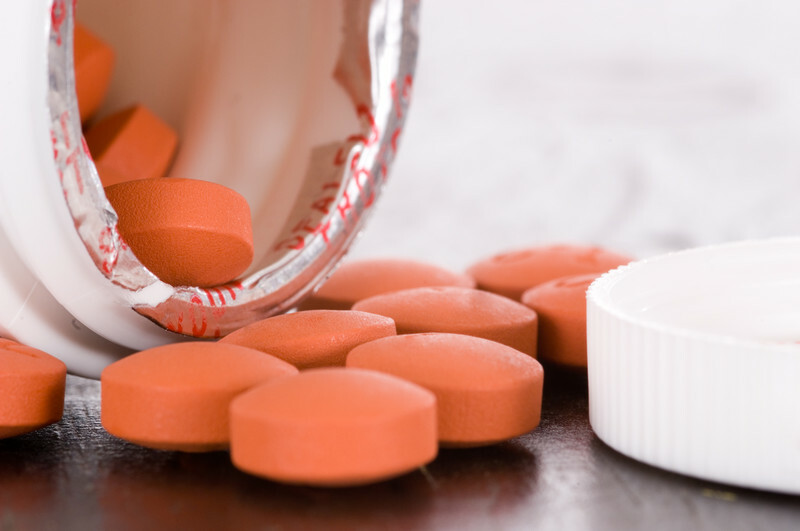 NSAIDs block the ability of aspirin to make blood platelets less "sticky." This helps prevent the formation of clots inside the bloodstream, which can cause heart attacks and strokes. One strategy is to take aspirin first thing in the morning, then wait at least 30 minutes before taking an NSAID. If you take an NSAID first, wait eight hours before taking aspirin. 8. Beware of blood pressure increases. All NSAIDs except aspirin tend to boost blood pressure. The effect is strongest and happens more consistently in people who have high blood pressure already and are taking medication to control it, but there's evidence that people with normal blood pressure are also affected. Acetaminophen in high doses may also cause small hikes in blood pressure. 9. Beware of kidney woes. NSAIDs, including the COX-2 drugs, can be hard on the kidneys and, in extreme cases, cause kidney failure. Signs of kidney disease include unexplained nausea or vomiting, loss of appetite, fatigue and weakness, and changes in urine output. 10. Genes matter. There is a lot of individual variation in how people react to pain relievers. It may take some trial and error to find the one that works best for you. Not an NSAID; doesn't cause stomach problems like NSAIDs; common ingredient in headache and cold medicines; large amounts can cause liver damage. Technically an NSAID, but its anticlotting properties make it unique; the development of alternatives and high risk of gastrointestinal bleeding with the high doses needed for pain relief mean it's not used as much today as a pain reliever. Favored because it acts quickly without staying in the body too long, so per dose it has a lower risk of causing stomach and kidney problems.